What is Día de los Muertos? Where did it come from, what are its roots? How do we celebrate it here in the U.S.? Día los Muertos or Days of the Dead is a significant and highly celebrated holiday in Mexico, Latin America, and Southwestern U.S. To understand Día de los Muertos one has to set aside preconceived notions. To many Mexicans, death is not a subject to be feared, ignored, or divorced from the living. One cannot celebrate life without also celebrating death. Through the use of slides, this plática traces the origins of the Mexican festival “The Day of the Dead” and describes the traditional elements associated with the holiday including foods, folk crafts and altars. 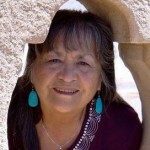 Elena Díaz Björkquist is a writer, historian, and artist from Tucson, Arizona. She writes about Morenci where she was born. Elena is the author of two books, Suffer Smoke and Water from the Moon and co-editor of Sowing the Seeds, una cosecha de recuerdosand Our Spirit, Our Reality; celebrating our Stories. She is a scholar and research affiliate with SIROW at the University of Arizona. 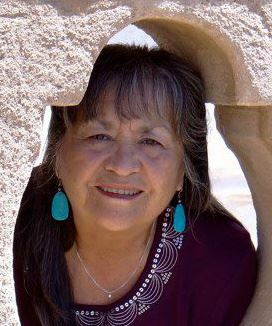 Elena is the recipient of the 2012 Arizona Humanities Dan Shilling Public Humanities Scholar Award and the Arizona Commission on the Arts Bill Desmond Writing Award. Her personal website is: https://elenadiazbjorkquist.wordpress.com.